Yosemite is, without a doubt, one of the best-known climbing Meccas in all of North America, with the towering cliffs and domes of granite providing some incredible climbs. 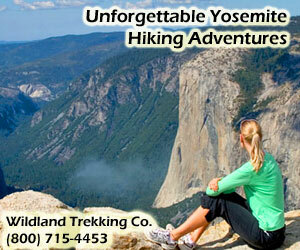 Trekking and backpacking trips, rock climbing classes and mountaineering in California & world wide. Notable for highly experienced mountain guides. For over 50 years, Muir Trail Ranch offers the wilderness experience without compromising on the comforts of home. For all your outdoor adventures, Southern Yosemite Mountain Guides has been in business since 1991. 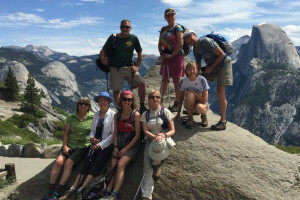 Offering hikes, workshops, and custom activities for large and small groups, Yosemite Adventures is a highly regarded adventure company. See Yosemite climbing artifacts galore, preserved forever at the Yosemite Museum sponsored by the Yosemite Climbing Association. As the only guide service permitted to operate within Yosemite National Park, we know Yosemite better than anyone, and love sharing our knowledge. Whether you are a dedicated rock rat, professional climber, part-time gym rat or merely someone who enjoys watching others while they scale rock walls, Yosemite is one of the premier climbing locations in the world. Climbing Yosemite granite walls provides hundreds of feet of solid traditional and aid rock climbing that challenge even the most talented climber. Climbing El Capitan is likely the pinnacle of Yosemite climbing. One of the most famous rock faces in Yosemite, El Capitan, or El Cap, is a towering granite formation that rises 3,000 feet above the surrounding valley floor. Although the top of the dome can be reached by hiking along Yosemite Falls, climbers from around the world attack the southern aspects, including The Nose, which, in 1958, was the first successfully climbed route on El Cap and is now one of the most popular and famous routes in the park. Since that time, many other routes have been set going up El Cap, both traditional and aid climbing. Half Dome is another of Yosemite’s well-known rock features, both for the Yosemite mountaineering opportunities it offers as well as the imposing sight that it makes when viewed from Yosemite Valley. The dome-shaped granite formation juts up over 4,700 feet above Yosemite Valley and, despite early opinions that the dome was unreachable, is now ascended by both hikers, who use a fixed cable route for the last 400 feet, and rock climbers who follow one of the many routes that have been followed since Royal Robbins, Mike Sherrick and Jerry Gallwas’ first ascent in 1957. While El Capitan and Half Dome are two of the most famous climbing spots in Yosemite, countless other Yosemite National Park climbing locations also exist within park boundaries. Bouldering and shorter cragging areas can be found, as well as other multi-pitch and multi-day climbs. 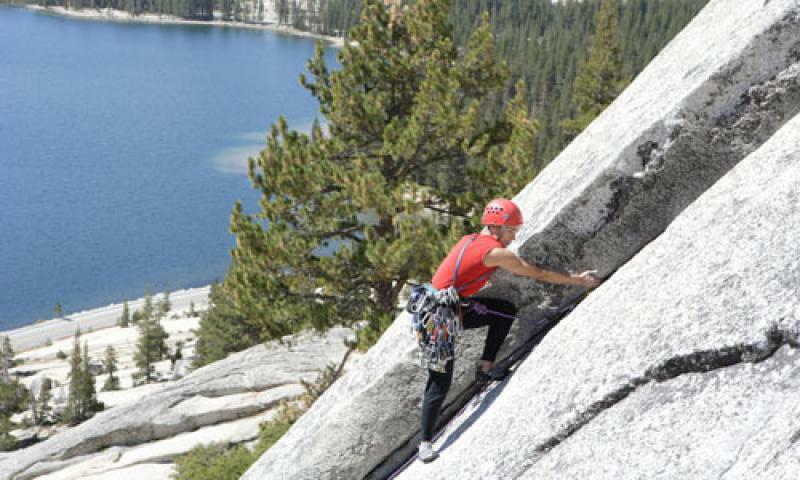 To discover ideal climbing opportunities and safely reach the summit of Yosemite’s granite peaks, search the below listings for outfitters that can use their experience and expertise to make your climbing adventure the best it can be. The Yosemite Climbing Association is dedicated to preserving climbing history.